Lined valves, custom solutions - ChemValve, Inc.
Model 330 is one of the most versatile valves on the market. Model 330 is designed for throttling with a variety of options, (see below). 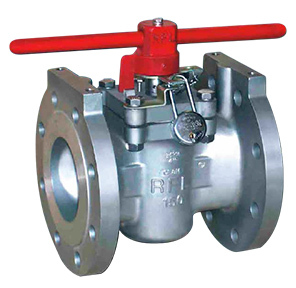 Design features include flexible bi-directional flow, zero leakage and self sealing due to a tight shut-off system and positive stem seal with reverse lip, and a plug and body system for low torque operation. Another excellent feature is its non-lubricated, self-cleaning of plugs while in operation. The Model 330's superior technological design allows for easy assembling and dissembling. Besides proven, impeccable performance, Model 330 valves are cost effect giving top value for your dollar.